When the weather heats up, we all love an ice cold glass of our favorite beverage. How disappointing is it, though, if your refrigerator ice tastes bad, ruining your whole dring? Quite! If you’ve noticed that the ice from your refrigerator ice maker smells or tastes bad, it could be due to a few different things. Luckily, many of these common causes are easily fixed. 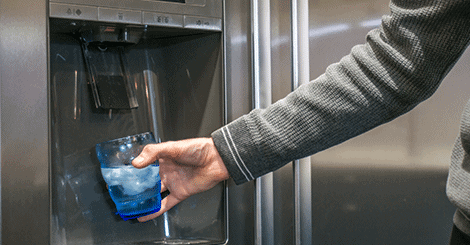 One of the most common reasons refrigerator ice tastes bad is a dirty water filter. If it’s been a while since the filter has been replaced, it can’t do its job as it should, causing the water that makes your ice cubes to taste different. Refrigerator water filters should be replaced about every six months, depending on how often you use the ice and water dispenser. Each refrigerator model is different, so refer to your owner’s manual for detailed instructions on changing the filter properly. If you don’t use ice all that often, this could be why your refrigerator ice tastes bad. It may seem odd, but ice can get ‘stale’ if left to sit for too long, as it will start to absorb the odors of what’s in the freezer or the bin it sits in. Try to use ice more often as it cycles, or wipe out the ice bin every so often to keep your cubes tasting fresh and clean. Another reason your refrigerator ice tastes bad could be because of improperly-sealed food in your freezer. The odors from the exposed food will start to seep into your ice cubes, causing them to taste or smell different. Make sure to completely wrap any food you place in the freezer. Get all the air out of the bag then zip it tight so that leftover lasagna doesn’t work its way into your ice cold soda! Your ice cubes can also taste bad if the water supply in your town isn’t the greatest. Minerals and other impurities in the water supply can all affect the taste of your water, which in turn affects your ice. 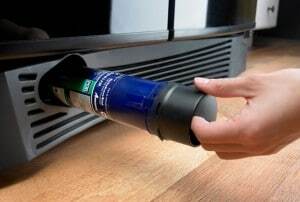 If this seems to be your problem, make sure to stay on top of changing your refrigerator water filter. This will help filter out some of the things you’d rather not end up in your ice maker. 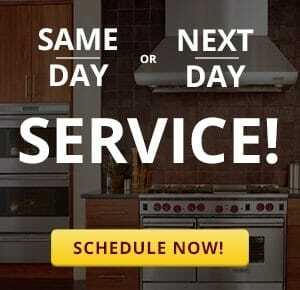 If none of these things seem to fix the problem, or you have another issue with your ice maker, contact our local ice maker repair experts today. How Long Does It Take an Ice Maker to Fill?